This monthly post highlights the board and card games I’m currently playing. In January 2016, I’m pretty much only playing two games. My solo board game has been entirely Lord Of The Rings: The Card Game . I borrowed the core set and a few expansions from a friend and started getting into it over the holiday break. The mechanics took me a while to learn, but after a few play throughs, the gameplay is quite smooth. This is my first deck builder of this style where half of the game is building decks to take on the next quest. I’m not sure how much I like that aspect but after finding a good starter deck on Board Game Geek, I’m enjoying going through the quests. The variety is really impressive and each quest feels really different from the last. I also really like how hard it is. Somehow getting beaten down is suprisingly fun, making me want to jump back in and try again. Since I’ve never played an LCG or CCG before, I’m not sure how it compares to others, but so far it’s been fun. I’ve recently ordered Pathfinder Adventure Card Game and I can’t wait to give it a try and see how it compares. 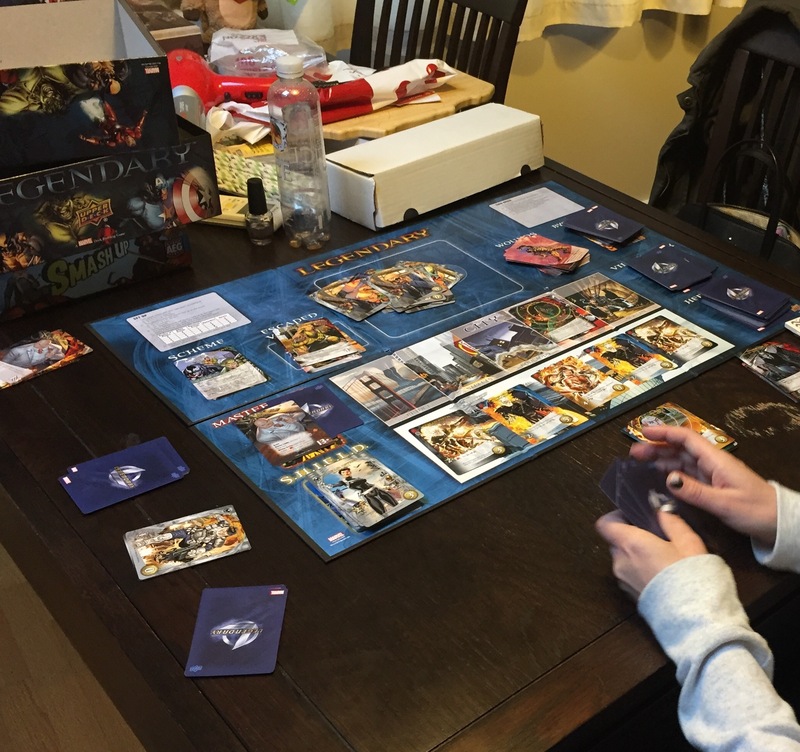 The other game I’m playing is Marvel Legendary . My wife and I play this together and she may even like it more than me. 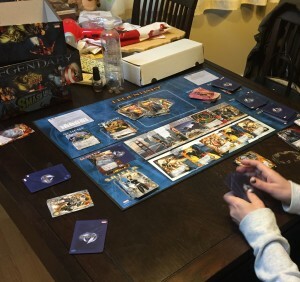 Picking through the various heroes, villains, masterminds and schemes and making unique combinations to play through is half the fun. Some combinations we’ve created work well, others don’t, and learning the combinations that really work together just makes us want to play again. We added the Dark City Expansion which gives us even more variety. If you like Marvel, definitely give it a look. Finally, we always seem to put out No Thanks! as a filler game whenever we’re in a larger group. It’s a simple to learn card game where you try to get the least amount of points. I love teaching it to new people because after they play it once, they immediately want to play again to try out a different strategy. It’s also become my go-to game gift. I haven’t found anyone who doesn’t like it. It’s definitely worth adding to every game collection.